OMG this may be my favorite audiobook. I listened to this the day after The Old Man purchased it and I couldn't wait to listen to it with him. Stacy's Dad (his other name) may be bigger than most NFL lineman but he's as likely to cry at something sentimental as a teenage girl; it is so much fun to watch him try, and fail, to keep from crying, then to try and hide it from everyone. 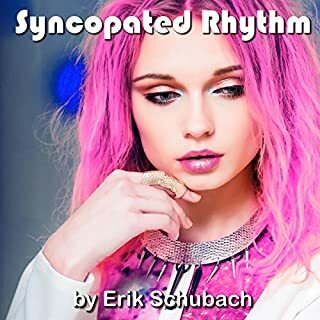 Well sure enough this one had us all in tears, as Erik Schubach works usually do. However it's set apart from the rest of the books in this series because it has none of the warts or moles the others have. The first literary aperture the author avoids is in the idealization of the Penny Franklin character. Penny, after leading a charmed life for 20 years, more or less is hit with large amounts of misfortune in all areas of her life. These are the type of challenges that we all face at some point in our lives (okay perhaps not to the same extent). Penny's reaction is to "be all selfish" and throw herself off a bridge;.lucky for us all Sandra happens to be strolling across the bridge at just the right time and convinces Penny to give life and her a chance. Penny's initial reaction to Sandra's natural optimism is "oh I'll break Little Miss Suzy Sunshine here; I'll show her the real world, it will be good for her to know the true nature of life". As a reminder, Sandra spends most of her time helping the homeless and children (many of them terminal) who are on the burn and cancer wards in the local hospitals. I'll bet people like that are quite familiar the side of life Penny thinks she can show San. There was certainly quite a juxtaposition between Penny's self pitying attitude and that of the children she dealt with in the hospital. Think in particular of Yvette and the way in which she approaches a life that has included far more pain and far less positive experiences than Penny's. There came a time when her negativity about her life did become a bit tiresome. Add to that Penny 's belief that she was a control freak after stating that her record company and her husband were controlling her. Adding further to this was her comment relating that said husband never 'allowed' her to get their daughters a dog. Sandra. I think I'll go along with Mandy Faye Harris that yes the world could definitely use a few more people with a heart as big as hers. I do have a couple of nits to pick in the details of the depiction given of her gifts and actions. While I suppose it's possible that idetic memory could be selective I'm not familiar with any studies that have identified it in individuals studied. Then there is math, or more specifically arithmetic Sandra's worst subject so to speak. Any study I'm familiar with indicates that memory and digital skills are usually closely related, if there was any subject that Sandra would excel at math.would be the most likely. Like all of the last few books in this series all the main characters and some of the ancillary ones from previous works are included in the text. If you've followed Music of the Soul stories from the beginning you'll recognize the theme of the first book in the series here; and that's okay. The author's works are far more likely to engage you emotionally than they are to draw you in intellectually. Personally this book is already in my top 10, it not top 5. I love this book in the series. Each book can be read individually but the series read together in any order makes such a vivid and wonderful world come to life. 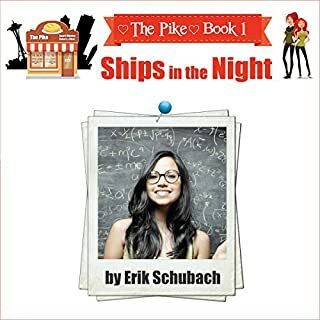 Erik Schubach is definitely one of my favorite authors. I wasn't sure I could like this book any better than I did when I read it but the narration is just as fantastic as the story. Hollie Jackson does a fabulous job narrating every book with naration in this series so far. I have read this book and was glad to see it on audible and just had to listen to it. The book is good but I love Hollie Jackson she makes all books better . 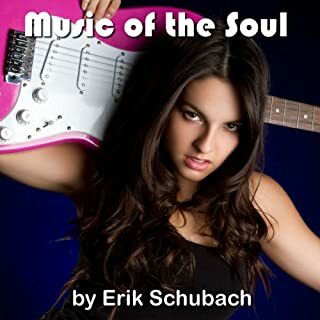 I Love All of Erik Schubach’s “Music of the Soul” series!!! This one is especially touching! Joy and tears and love! He has a way of drawing you in to the incredible world he has created for these amazing characters!! I LOVE Sandra!! And Penny is such and Amazing addition to this collection of people!! Love, Love, Love this one!!! I can’t wait until more are on Audible!! It seems to take far too long between each one but it’s worth the wait!! Sandra and Penny's story will give you hope and joy. All of Erik's books are wonderful but this one is one of the best. Sandra Callahan is my all time favorite character. The book is well written and the story will make you smile every time you read or listen to it. I absolutely loved everything about this book. The narrator was also wonderful and made the characters come to life. 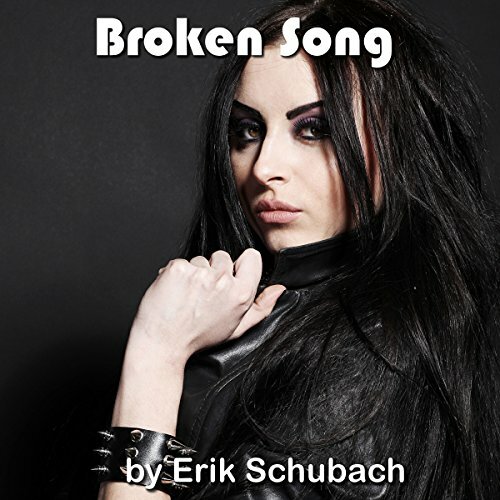 I loved this Audible edition of Broken Song. I have read this book often. Loved this audio version. Holly Jackson does an excellent job. Thanks to Erik Schubach and Audible for these few hours of enjoyment. "Sometimes there is a happy ending." Told from two people POV, It's starts when one, Penny, reaches rock bottom, and believes she has nothing left to live for, only to be stopped from jumping off a bridge by Sam or Buttercup as she know on the streets. Just by using her crazy logic and making promise to give her 48 hours to prove all that she had to live for. From there it just more interesting, As they also fall in love.